Five former Deans of Engineering joined Dean Cristina Amon in the Barratt Room, Galbraith Building, November 27 for a luncheon to celebrate the Faculty’s recent achievements. The group also toured the Faculty’s new space in the Bahen Centre, Celebration Education Display, and the Division of Engineering Science, led by Executive Director of Advancement Vanessa Abaya. The six Deans’ collective terms span 36 years and includes Bernard (Ben) Etkin (1973-1979), Gordon Slemon (1979-1986), Gary Heinke (1986-1993), Michael Charles (1993-2001), and Anastasios (Tas) Venetsanopoulos (2001-2006). Dean Amon’s term began July 1, 2006 until June 30, 2011. "It was a tremendous pleasure to meet the former Deans of our Faculty. I was so delighted to hear about some of their fond memories of Skule™ and was inspired by their collective accomplishments as leaders in Engineering education," said Vanessa. Bernard Etkin’s long career of academic accomplishments, aeronautical research, invention, publication and engineering consulting began immediately after his graduation and continued to revolve around his expanding role in the University’s teaching and governance. Bernard's teaching and research encompassed many areas—the development of new equipment, supervision of many graduate students and teaching 30 courses in aeronautics. 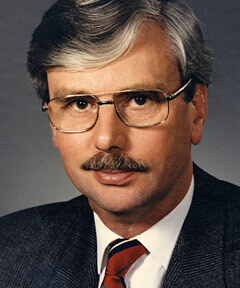 He assumed the role of Dean of the Faculty of Applied Science and Engineering from 1973-1979. In University governance, Bernard was a member of the Senate and later the Governing Council; he was actively involved in University affairs, including governance and finance and the Association of Teaching Staff. Among the dozens of projects he worked on, which covered a wide range of areas, he contributed to the design and production of two gliders and most of the Avro and deHavilland aircrafts that were produced during and after the war. Bernard’s activities and research led to eight patents, three authoritative books and dozens of articles, which confirmed his global pre-eminence in several subjects mostly related to aeronautics. In 1957, he was appointed as a professor at the Institute for Aerospace Studies in Downsview, Ontario. "It was 3:30 a.m. when the phone rang. The voice on the other end said "Dean Etkin? This is the University Police. The Sandford Fleming Building is burning down! The fire department is here, but it looks real bad." I rushed to the west window of my apartment on the 39th floor of the Manulfe building at Bloor & Bay and saw flames and smoke coming from the building. I rushed to the scene. That was early in the morning of Friday, February 11, 1977, and soon it was clear that all of the Sandford Fleming and Galbraith Buildings would be unusable for some time – that we were in for a massive disruption of the spring term. By 8 a.m., I had convened an emergency meeting of chairs and directors, supplemented by key administrative personnel. The essential issues were cancelling classes and finding alternative lecture and laboratory spaces. The miracle was that we ended up LOSING ONLY ONE DAY OF CLASSES – the day of the fire. Everyone pitched in to help; all the faculty and departmental leadership and support staff. We worked all weekend to find spaces for classes Monday morning and succeeded. What saved us was that the week after the fire was Reading Week in the Faculty of Arts and Science, which made many rooms available to us for just one week. Arts and Science cooperated fully, and our students had all their lectures available on campus for that one week. Meanwhile we worked tirelessly during that week to find alternate accommodation for the rest of the term, on and off campus. Fortunately, the damage to Galbraith had been mainly water damage and that building was soon usable again. A second stroke of good fortune was that the Toronto Public Library was scheduled to vacate its site just across St. George St. at College St., that summer, and the University was successful in renting the building for our use for the years required to plan and execute the redesign and restoration of Sandford Fleming. The library space was ideal to take care of the emergency until the restoration was finished. When all was said and done, several years later, the Faculty had improved and expanded quarters. I always felt that the efficiency and proficient problem-solving that were characteristic of that whole operation owed much to our training as engineers." Professor Bernard Etkin is now fully retired and living with his wife Maya in a retirement complex in Toronto. Until about three years ago, he was still active in consulting work. His most recent a year ago, was a study of climate changes during the last four ice age cycles. It shows conclusively that current effects are anthropogenic (human-caused). If anyone wishes to request a copy of the study, please send correspondence to Engineering Newsletter staff and we will forward the request to him. Gordon Slemon received a BASc in Electrical Engineering in 1946 and a MASc in Electrical Engineering in 1948 from the University of Toronto. He received a PhD from the University of London in 1952. From 1953 to 1955, Gordon was an Assistant Professor at the Nova Scotia Technical College. In 1955, he joined the University of Toronto as an Associate Professor and was appointed a Professor in 1964. In 1990, he became Professor Emeritus. From 1966 to 1976, he was the head of the Department of Electrical Engineering, and served as the Faculty’s Dean from 1979 to 1986. He is the co-author of Scientific Basis of Electrical Engineering (1961), Electric Machinery (1979), and Power Semiconductor Drives (1984). He is the author of Magnetoelectric Devices (1966) and Electric Machines and Drives (1992). 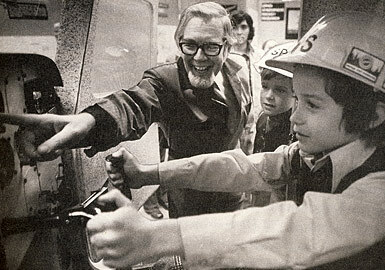 In 1994, he was made an Officer of the Order of Canada for his work as "a world authority on the analysis, design and development of electric machines and controlled drive systems” and was cited for dedicating his professional life to teaching and research in engineering". In 1990, he was awarded the IEEE Nikola Tesla Award. "As part of the annual engineering alumni gathering in June of 1983, I arranged to have the unveiling of a frieze taken from the Old School Building. This frieze was mounted on a wall in the rotunda of the Galbraith Building. Saturday morning we arranged chairs for graduates in the honoured years, 60th anniversary of graduation in the front rows, 50th in the next rows and standing room for the remainder of the audience. All went very well. The speeches were both witty and short. The veil came down smoothly. The audience dispersed, most of them for lunch at Hart House. I noticed a nattily dressed sprightly man still perched on a ledge at the side of the rotunda. I asked him when he graduated. He informed me that he was of the class of 1913 and that this was his 70th anniversary of graduation. He taught me always to question my assumptions." "Since retiring 19 years ago, I have written another (and hopefully better) textbook. I have been President of the Canadian Academy of Engineering, an Officer in the Order of Canada, and have acted as an expert witness in several legal cases. Today I mainly enjoy my now-simpler life." Gary Heinke immigrated to Canada as a student in 1953 from his native Austria. He graduated from the University of Toronto’s Civil Engineering program in 1956, and was a staff member from 1968 to 1996, serving as Chairman of Civil Engineering for 10 years (1974-1984). His appointment to Dean in 1986 was somewhat of a “first” as he was the first non-British-, non-Canadian-born Dean. Reflecting on the experience as extremely enjoyable, Gary looks back on the role as the highlight of his academic career. The issue of “women in engineering” was very much heightened in public attention as a result of the tragic events in Montreal at École Polytechnique after 14 young women engineering students were murdered in 1989. He served as the representative of Engineering Deans in the Prime Minister’s Advisory Group for over a year; the group addressed the issues around women in engineering. Within the Faculty, Gary and his team were able to increase the number of women students substantially, and also the number of women professors. Gary credits then newly-appointed Chemical Engineering Professor Yu-Ling Cheng for much help and sound advice in a difficult situation. To help tackle another major goal, Gary appointed Michael E. Charles to the newly-created position of Vice Dean in order to increase interaction between the Faculty and Industry. Michael eventually succeeded Gary as Dean in 1993 and continued to support the initiative throughout his years in the role. "During 1987, the then Premier of Ontario, David Peterson, challenged universities for greater collaboration between universities and industry through joint research in several areas important to the province. To my recollection, $350 million was promised. In the opinion of the Deans of Engineering at Waterloo, McMaster and Toronto, who also happened to be good friends, it was absolutely essential that we prepare joint proposals, rather than competing against each other. Five major proposals were prepared over several months, with the support of a number of important individuals from other Ontario universities. Premier Peterson chose the evening of October 19, 1987 to annouce the winners at a special event held at Ontario Place. I was unable to attend as I had previously arranged for the removal of three wisdom teeth on exactly that day and time. No harm done as Vice-Dean Michael Charles, who was intimately involved in the preparation of our five joint proposals, attended the event on my behalf. He was to call me at the hospital at 10 p.m., when I was expected to be conscious again. The phone rang for me: "How many did we get?" was my anxious question. Michael answered in his quiet way: "We got five", to which I quickly responded, "This is not the time for jokes!" He answered firmly, "We were granted all five joint proposals!" All of us had to work very hard to establish the necessary facilities (construction of the Pratt Building and the renovation of the Mining Buliding). The joint groups at the three engineering schools and individuals from other schools worked with many industries for the benefit of all of Ontario. I have never forgotten that telephone call!" "I am totally retired now, enjoying our life on Vancouver Island, playing tennis, golf and travelling occasionally." Michael E. Charles completed an eight-year term as Dean, Faculty of Applied Science and Engineering, University of Toronto in June 2001. 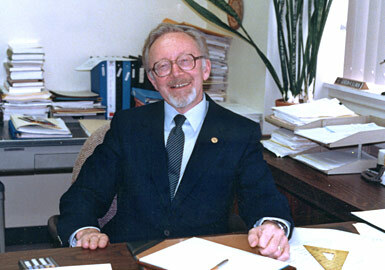 As Dean Emeritus, he held the endowed Michael E. Charles Chair in Chemical Engineering through to June 2004. Michael is now the President-Elect of the Canadian Academy of Engineering. He graduated from Imperial College, University of London, in Chemical Engineering, and earned his PhD at the University of Alberta. He brings a chemical engineering perspective to scholarly work on broader issues, particularly the potential for climate change resulting from the carbon cycle and its impact on Canada’s energy future. 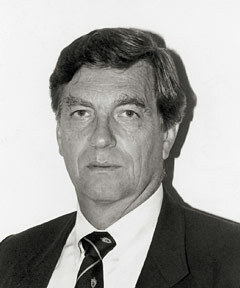 Michael served on the Board of Directors of three of the original Ontario Centres of Excellence. He also served as Chairman of the Board of Directors of the Institute for Chemical Science and Technology, and on the Managing Board of the Canadian Research Management Association. He was founding president of the Canadian Association for Internship Programs and, more recently, served on the Board of Directors of Materials and Manufacturing Ontario (MMO) and the Advanced Design for Manufacturing Institute (ADMI). Michael currently serves on the Boards of the Canadian Academy of Engineering and the Canadian Institute for Photonic Innovations, one of the National networks, and chairs the Faculty’s Committee on Nominations for Honours and Awards. He is also a long-standing auditor of the undergraduate program review process under the auspices of the Ontario Council of Academic Vice-Presidents. "There are, of course, many good memories . . . .the "ground breaking" for the Bahen Centre, Isabel Bayrakdarian winning the competition in Carnegie Hall as a final year EngSci student, Ted Roger's magnificent gift in support of ECE which put our campaign over $100 million, the Blue Sky Solar Racing team designing and building the car that did so well in the World Challenge in Australia, the tremendous support of so many alumni, the EngSoc firing the cannon on the front campus in memory of their administrator Julie Wilkinson, the Convocations with the engineering spirit so much in evidence among our graduates and the growing recognition of our status as a top engineering school. I could go on and on, but . . ."
Professor Charles works in the Chemical Engineering department at the University of Toronto. Additionally, he is organizing the 2010 Annual Meeting of the Canadian Academy of Engineering which will be held in Toronto in June. The theme will be low emission electricity generation, distribution, and use in transportation. 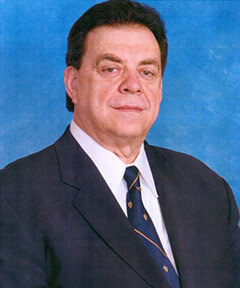 Anastasios Venetsanopoulos received the Bachelors of Electrical and Mechanical Engineering degree from the National Technical University of Athens (NTU), Greece, in 1965, and the M.S., M.Phil., and PhD degrees in Electrical Engineering from Yale University in 1966, 1968 and 1969 respectively. He joined the Department of Electrical and Computer Engineering of the University of Toronto in September 1968 as a Lecturer and he was promoted to Assistant Professor in 1970, Associate Professor in 1973, and Professor in 1981. Anastasios has served as Chair of the Communications Group and Associate Chair of the Department of Electrical Engineering. Between July 1997 – June 2001, he was Associate Chair, Graduate Studies of the Department of Electrical and Computer Engineering and was Acting Chair during the spring term of 1998-99. In 1999, a Chair in Multimedia was established in the ECE Department, made possible by a donation of $1.25M from Bell Canada, matched with $1M of university funds. Anastasios served in this position as Inaugural Chairholder between 1999 and 2004 and two additional Assistant Professors were hired in the same area. Between 2001 – 2006, he served as the 12th Dean of the Faculty of Applied Science and Engineering of the University of Toronto. I remember the trips to Singapore, China and other countries to sign agreements with international universities. During these visits I was gratified by the high esteem our programs have in these countries and had the pleasure of seeing many of our former students, now alumni, who hold leading positions in industry and academia around the world. Anastasios is the current Vice-President of Research and Innovation at Ryerson University in Toronto, and is a Professor Emeritus with The Edward S. Rogers Sr. Department of Electrical and Computer Engineering at the University of Toronto.